These crisp and spicy biscuits are equally good with the last cup of after-dinner coffee of dipped in a glass of milk. 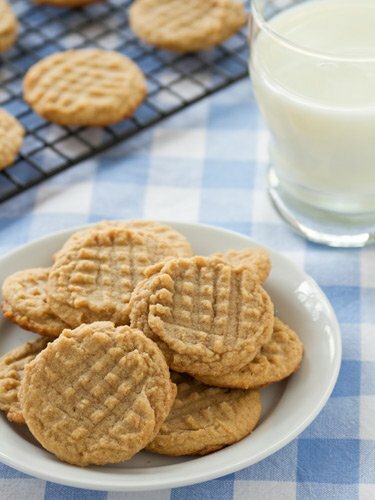 This recipe is egg and lactose free for those with allergies. 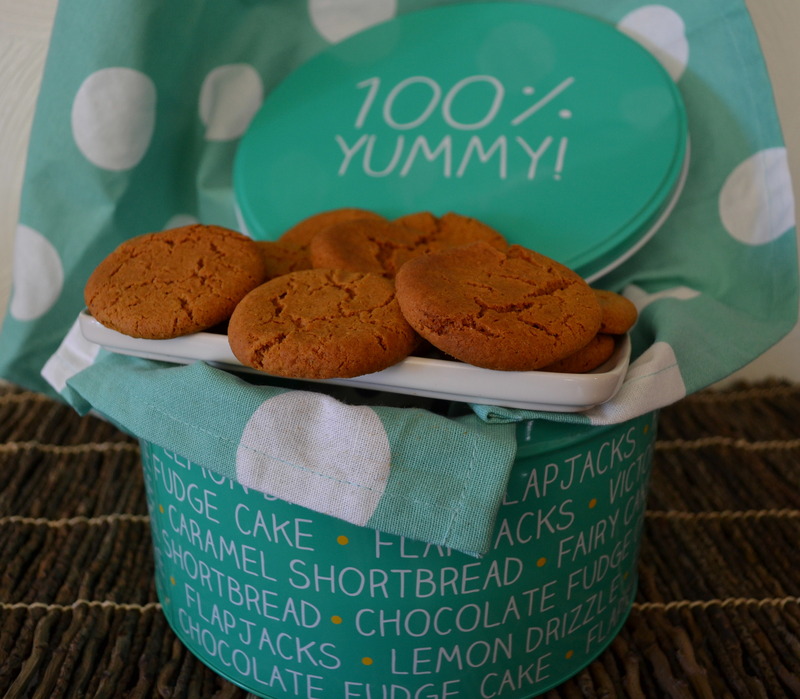 I doubled the recipe as I know the cookie jar won’t stay full for long! Beat together the butter and sugar until light and fluffy. Scrape the sides of the bowl as necessary. Add all the remaining ingredients and mix until the dough holds together. Remove from the bowl and knead lightly by hand until quite smooth. Roll the dough into a neat log about 40 mm in diameter. Cover with cling wrap and refrigerate for at least 1 hour. Alternatively, gather the dough into a ball and cover it with cling wrap or place it in a ziplock bag and refrigerate it for at least 30 minutes. 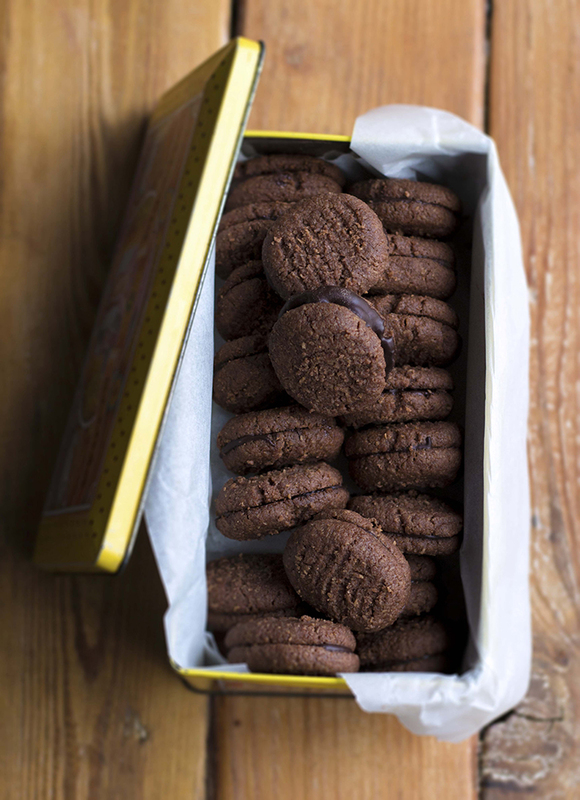 When ready to bake, remove the dough log from the fridge and slice it into thin biscuits about 5 mm thick. Press both sides of the biscuits into the extra sugar before placing it 20 mm on a baking tray lined with a Wizbake baking sheet. If using the dough ball, remove it from the fridge and leave it at room temperature for 15 to 30 minutes or until it is soft enough to handle. Roll the dough out thinly and cut into fancy shapes with floured cookie cutters. Re-roll the excess dough and cut out again until all the dough is used. When ready to bake, preheat the oven to 180°C and bake the biscuits 12 to 15 minutes or until cracked, dry and an attractive golden brown colour. Do not over-bake the biscuits as the flavour and appearance will be impaired. The biscuits will become firm after cooling. Life the biscuits off the baking trays with a spatula and allow to cool on a cooling rack before storing it in an airtight container. Recipe by Carolié de Koster’s Art of Cooking recipe book p. 734. Fancy festive Mexican biscuits made for special occasions. Preheat the oven to 180 °C and line 2 large baking trays and with Wizbake baking sheets. Place the butter or margarine and sugar in a mixing bowl and beat until creamed. Add the flour, cinnamon, vanilla and nuts and mix until a dough is formed, adding a few drops water as necessary to bind the dough. Break off walnut size portions of dough and roll into little ropes as thick as a little finger and with slightly tapered ends. Form into crescents and place onto baking trays. 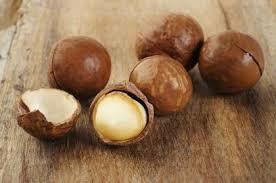 Alternatively, roll into walnut-sized balls. Cool until firm and dust and coat with icing sugar. Store in airtight containers for up to a month. Makes about 24 biscuits, depending on size. Place sesame seeds onto a shallow plate, coat the balls with seeds and roll between the palms of the hands into little ropes before placing them onto baking trays. 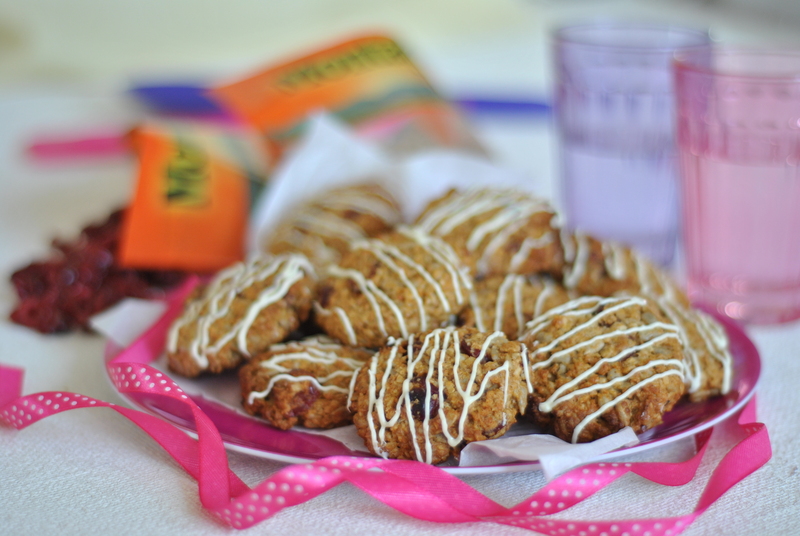 A delicious nut-free biscuit that is definitely worth a try! Beat together the butter and honey for 2 minutes until light and fluffy. Add the egg and vanilla and beat for 1 more minute or until smooth. Combine oats, flour, bicarbonate of soda, cinnamon and salt. Add the cranberries and sunflower seeds and mix until well combined. Shape into walnut sized balls and place on a lined baking sheet. Use a fork to flatten slightly. Bake in a preheated oven at 175°C for 10 to 15 minutes or until golden. Drizzle with melted chocolate and set aside until the chocolate has set. 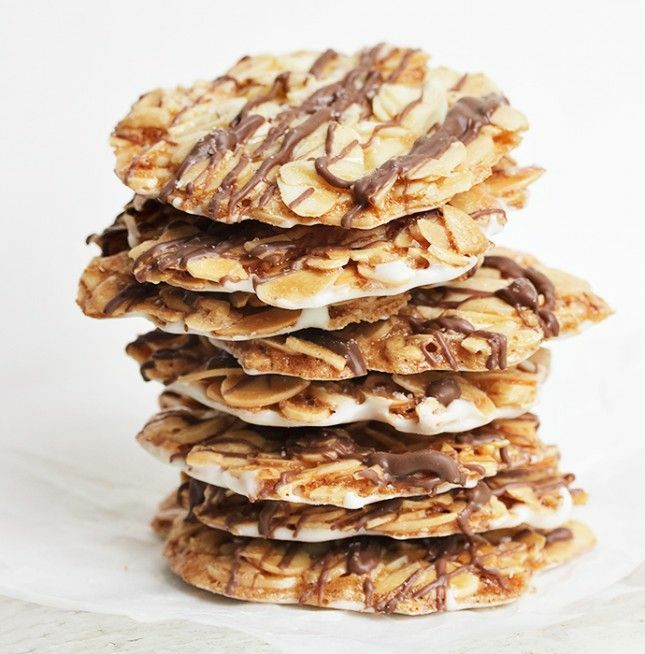 Drizzle with dark chocolate instead of white chocolate. 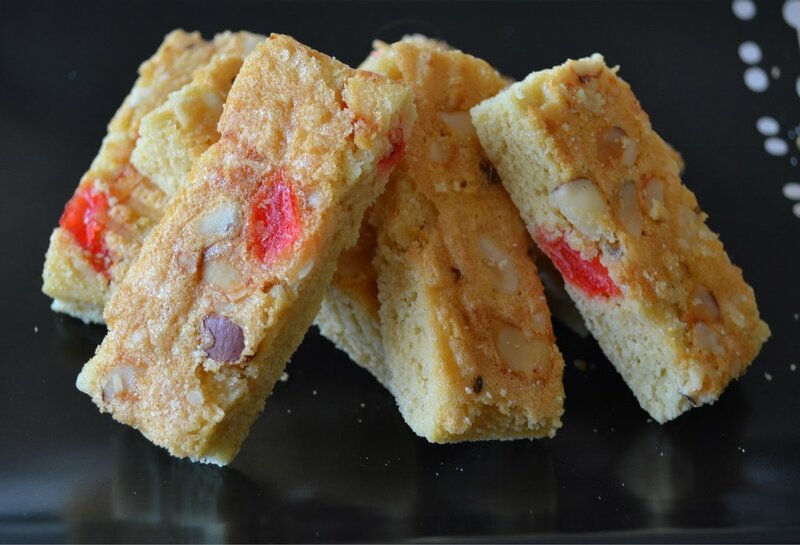 Recipe and photo supplied by Montagu Dried Fruit & Nuts. 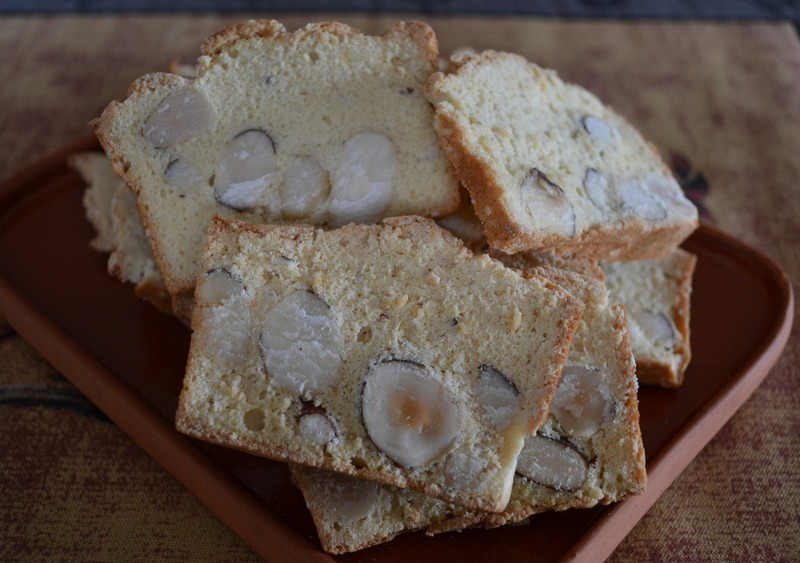 The addition of fruit and nuts in this recipe makes this shortbread extra tasty! Use an electric hand mixer and beat the butter until light in colour. Sift the icing sugar and corn flour together. Add little by little to the butter and beat well after each addition. Add the egg yolk and vanilla essence and blend in. Sift in the flour, baking powder and salt together. Add to the butter mixture together with the apricots and pecan nuts and mix until well combined. Press mixture together to form a ball of dough. Refrigerate to firm. 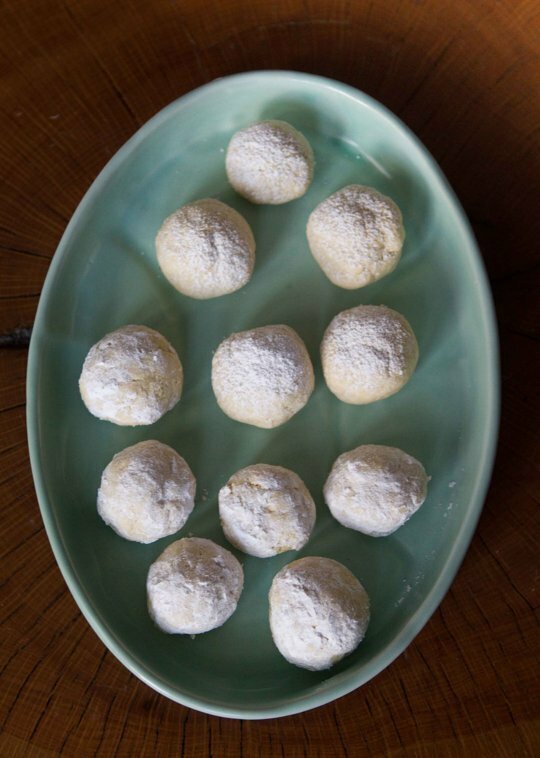 Roll into small balls and place on baking sheets lined with baking paper. Bake in a preheated oven at 170°C for 10 to 15 minutes. Dust with icing sugar. Store in an airtight container. Variations: Use almonds instead of pecan nuts and chopped nectarines or figs instead of apricots. 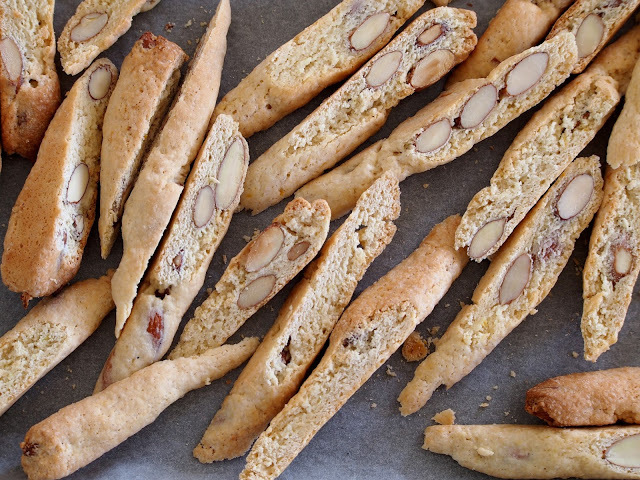 Enjoy as is or dip in coffee or sweet dessert wine such as sherry as the Italians do! Preheat the oven to 180°C and line a baking tray with a Wizbake baking sheet. Dry-fry the almonds in a single layer in a saucepan for a few minutes. Set aside to cool. Cream the butter and sugar with an electric hand mixer in a large mixing bowl. Set it aside. Add the eggs and essence to the mixing bowl and mix well. Add the baking powder, salt, almonds and about two cups of the flour and mix well. The dough should be the consistency of play dough. Only add more flour if necessary. Transfer the dough to the baking tray and flatten the dough with floured hands or a spatula to a thickness of 1 cm. Bake for about 35 minutes or until the dough is golden and just beginning to crack on top. Remove from the oven, and using a serrated knife, slice into individual biscuits on the diagonal, about 1.5 cm thick. Reduce the oven temperature to 100°C. Place cut side up back onto the baking tray, return it to the oven and dry out for about 40 minutes, turning over once, until crisp and dry. Place a spoon in the door if necessary to keep it slightly ajar to allow moisture to escape. The nuts used may be one kind only or a mixture of 2 – 3 kinds of natural nuts which may include almonds, pistachio nuts, Brazil nuts, cashew or pecan nuts. Or use chocolate chips! 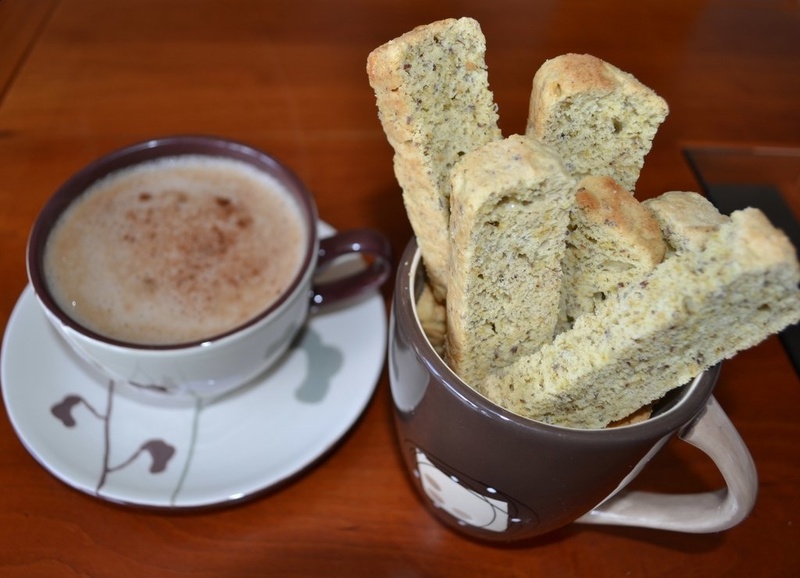 A delightful recipe for a light, soft-crumbed rusk, passed down through the generations. Good to enjoy any time of day – as is or South African style, dipped into tea or coffee! Preheat the oven to 180 °C. Grease two medium-large baking trays (40 x 28cm) generously with butter. Place the flour, sugar, salt, aniseed if used and butter in a large mixing bowl and rub together lightly until the mixture resembles coarse crumbs. Combine the buttermilk and eggs and add to a well in the dry ingredients. Mix well with both hands until a smooth soft dough is formed. Divide the dough between the tins and press evenly into the tins or roll with a floured rolling pin. Cut into fingers. Bake at 180°C for about 20 – 25 minutes or until lightly browned and firm if tested with the fingertips. Take care not to bake until too dark brown or too dry. Remove from the oven, cool a while and cut through the dividing lines into fingers. Lift out and place onto a baking tray, slightly apart. Dry out in the oven (with a spoon placed into the oven door if necessary to allow moisture to evaporate) at 60 – 80 °C for 5 – 6 hours or until completely dried out. Makes about 100 rusks depending on the size of the rusks fingers. 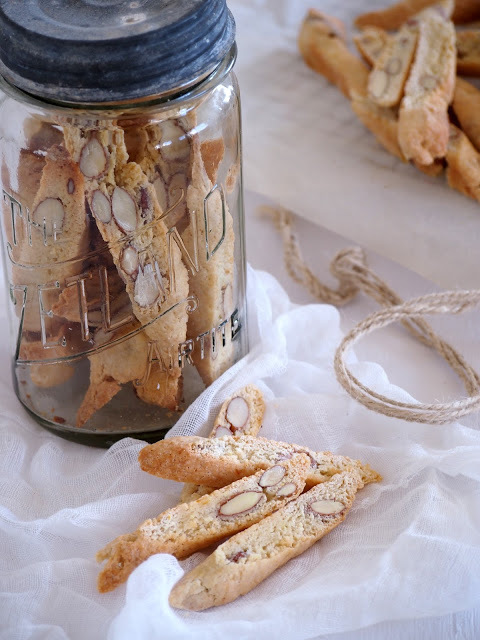 Add about 250 ml – 500 ml chocolate chips or chocolate vermicelli or 250 ml of each chocolate chips and chopped pecans, cashews or mixed nuts to the dough – with or without the aniseed as preferred. For a hint of spiciness add 3 ml cinnamon as well. Replace the self-raising flour with bran rich self-raising flour. Recipe by Carolié de Koster from Art Of Cooking page 723. These biscuits are good to nibble at any time of the day but also ideal to use as “saucer” biscuits with good coffee or tea. Preheat the oven to 180 ºC and line two baking trays with Wizbake baking sheets. Combine the almonds, sugar, flour, salt and cinnamon in a mixing bowl and add the butter, almond or vanilla extract and egg. Mix and knead, adding a little extra flour as necessary to make the dough firm enough to handle. 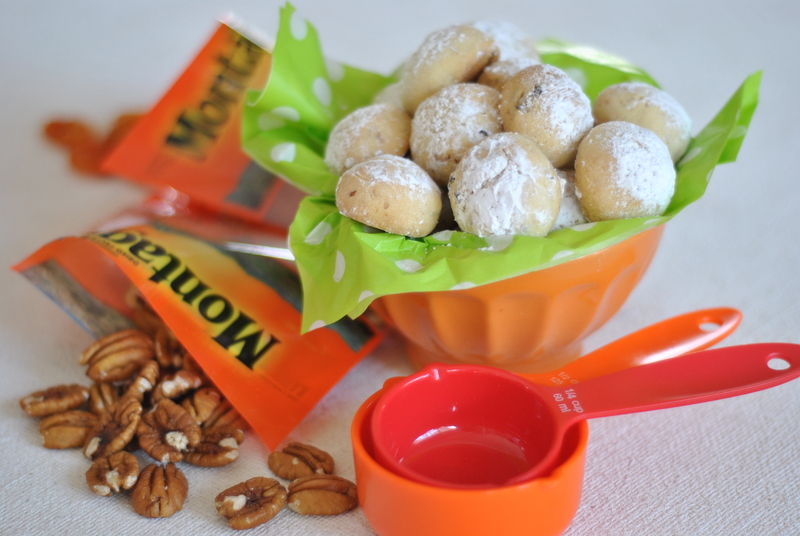 Pinch of small portions (about 24 walnut size) of dough and roll into balls. 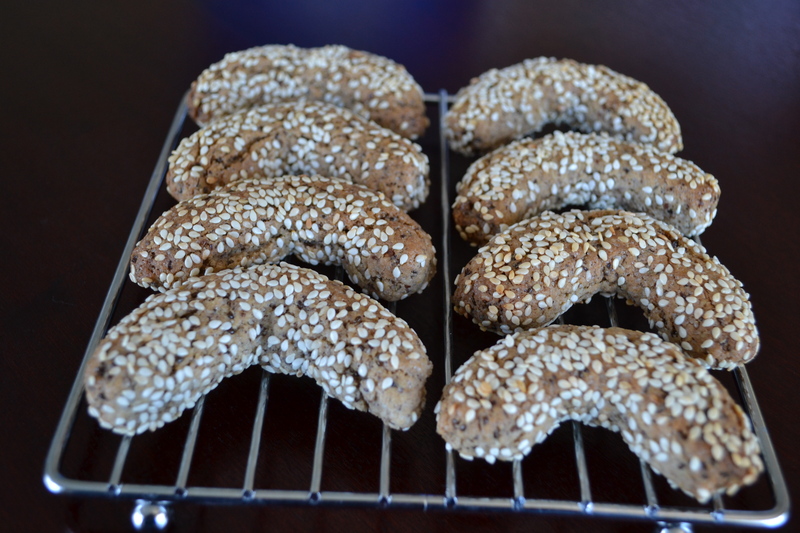 Place sesame seeds onto a shallow plate, coat the balls with seeds and roll between the palms of the hands into cylindrical shapes about 5 cm long. Add more seeds if necessary. Place the biscuits side by side onto the baking tray, twist into crescents and bake about 20 minutes or until firm and golden brown. Cool a few minutes before placing onto a cooling rack to cool.